Bonsoir Chérie: Lace Outfit for Fashionweek and my favorite food places in Berlin. Lace Outfit for Fashionweek and my favorite food places in Berlin. 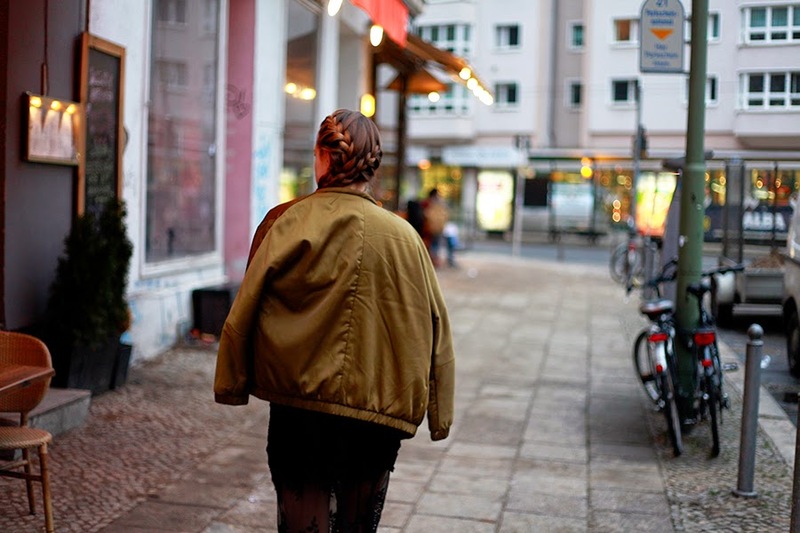 As promised a little outfit recap from the Fashionweek Berlin. I went there on Sunday and the ones who follow me on instagram (@bonsoircherieblog) might have seen we've started with the Dandy Diary Party one sunday night. It was a lot of fun. I loved the fact that everyone was dressed like back in the 70ies. As I stayed at a friends place I was very happy to spent the time in between the shows and events with some good food and a lot of chatting over coffees. I am in love with the Asian food at Dudu's at the Rosenthaler Place and Tosca Rouge. I never forget to visit my favorite Italian Restaurant Pane et Rose - it is always such a warm welcome and the food is delicious. One of my all-time favorites coffeepot is the Caras Gourmet in Berlin. Located in Mitte it is the perfect place to stop by for to have a little break. I'll share my personal highlights of the shows in the next entry. Leather Ankle Boots: H&M find some similar ones from Acne at shopbop. Wow the skirt is absolutely beautiful, love the whole look! Ohhh, was für ein tolles Outfit!